Starting with PowerShell version 3.0, there is excellent support for tab completion/expansion and Intellisense, but it is still missing some useful features. The PowerShell module TabExpansionPlusPlus addresses some of those shortcomings. Easily add custom argument completion. Exclude hidden files from results. Easily set options like ‘IgnoreHiddenShares’. Argument completion will provide a list of relevant arguments for you to choose from and will feed the selected argument value to the parameter. In other words, it will provide Intellisense auto-completion for parameter arguments in both PowerShell ISE and PowerShell CLI (starting from PowerShell version 5.0). Today, only a very limited set of cmdlets provide this functionality built-in. You can build those argument completions your self as part of your PowerShell toolmaking. In addition to making it simple to add your own custom argument completion, TabExpansionPlusPlus also provides many useful custom argument completers “out of box” for many PowerShell modules. Those also serve as good examples of how to create/add your own “argument completers”. Recently, I have also been adding many argument completers for many modules. * Argument Completers in progress. NOTE: You can even build argument completion for external non-PowerShell commands. How geeky is that . Here’s an example of argument completion on RoboCopy.exe. When you import the TabExpansionPlusPlus module, all of the default included argument completer functions will be available to you. Typically you find all argument completer functions as PowerShell scripts in the folder “C:\Program Files\WindowsPowerShell\Modules\TabExpansionPlusPlus\<version>” following the naming convention “<PSModule>.ArgumentCompleter.ps1” . However, you can create your own argument completer functions/scripts to auto-complete parameter values for your own PowerShell functions. NOTE: In the version 1.1 of TabExpansionPlusPlus, all of the argument completers that I have added/written are not (yet) included. 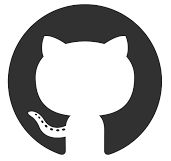 You will need to download or clone the GitHub project here and extract the contents from the zip file. UPDATE: Version 1.2 has been published by Jason Shirk @lzybkr (creator and owner of the module) which contains all the above described argument completers.